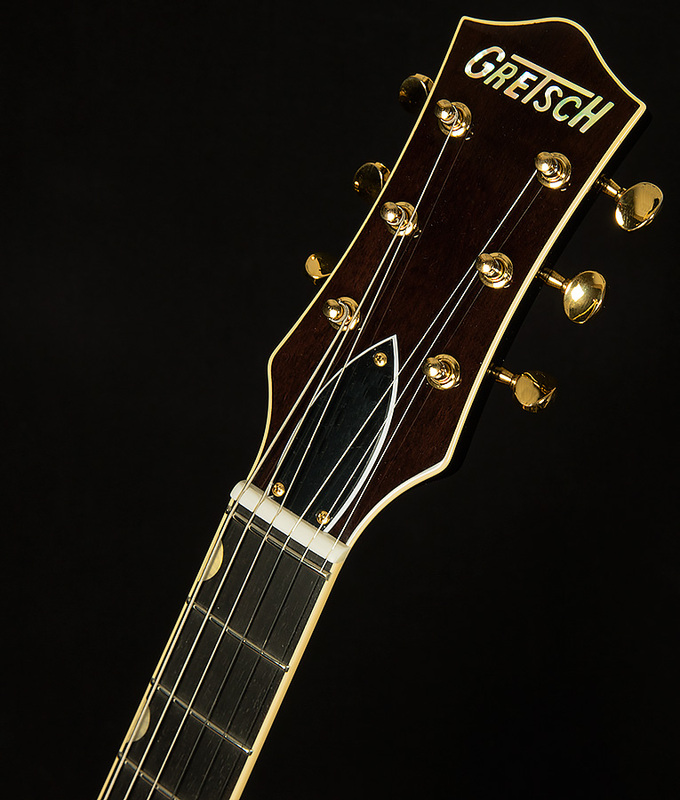 Inspired by the pivotal and prolific years of Gretsch’s 1950s and early ’60s golden age, Vintage Select Edition guitars are designed for the player who appreciates the finest in musical instrument heritage. 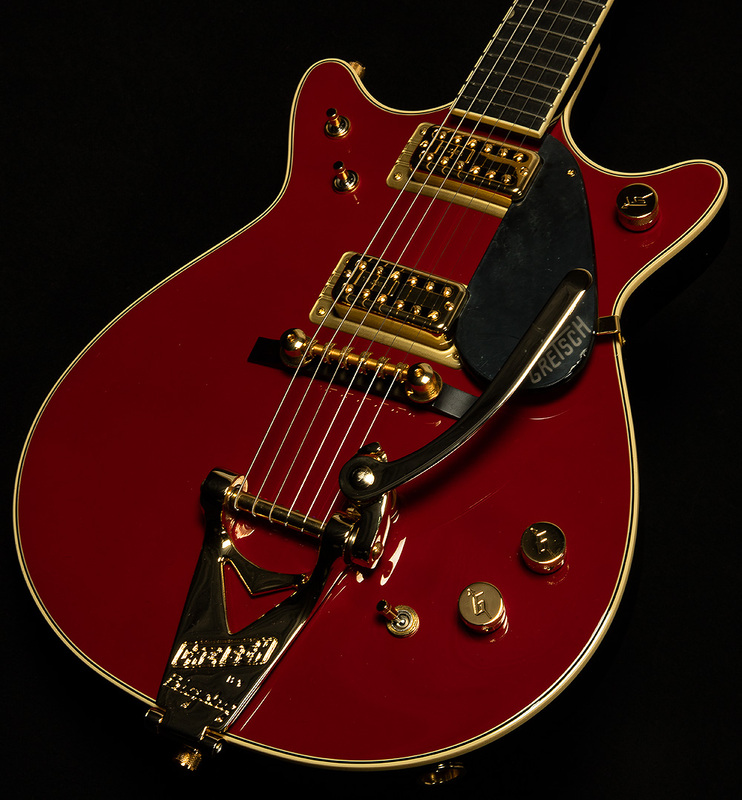 The new G6131T-62 Vintage Select ’62 Jet with Bigsby rocks that legacy to perfection. 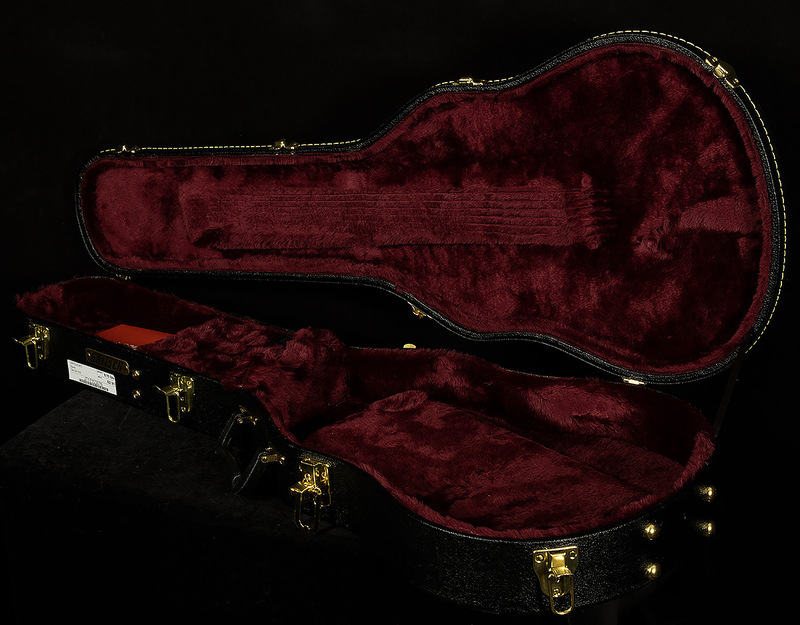 The early 1960s saw the double-cut Jet get a black back, a zero-fret and gold hardware. As previously, its signature power and punch came from chambered mahogany construction, which magnifies harmonic richness by letting air resonate between the top and body for livelier and more articulate tone. 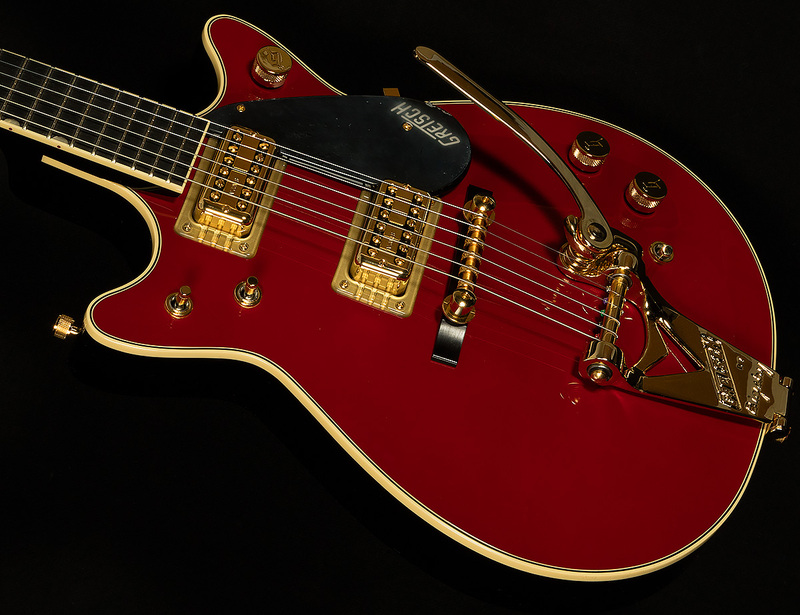 That’s all here on this fiery tone machine, along with TV Jones Classic pickups that replicate that vintage Filter’Tron sound to fabulous sonic effect.